You may not give a lot of thought to your home’s air filter. An air filter, with no moving parts, is a little part of a big system, and it doesn’t typically “break down.” But this doesn’t mean that air filters aren’t important — they protect your expensive HVAC equipment and can improve the quality of your indoor air. 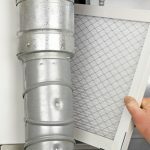 Manufacturers generally recommend you change air filters every 2 to 3 months and while you’re at it, you should be considering the type of filter you’re using. MERV stands for Minimum Efficiency Reporting Value and it indicates the efficiency with which air filters trap particulates. The higher the rating, the better the filter is at capturing small particles like bacteria, viruses, pollen, and mold spores. The MERV rating scale is 1 to 20, with most standard filters in the 1 to 16 range. Fiberglass filters are made from layers of glass fibers and formed into a pleated, paper-like material. They are not reusable, but they are inexpensive and easy to replace. They have a lower MERV rating as well and are designed more to keep your air conditioner clean than your indoor air clean. Washable filters have low MERV ratings and are good only for protecting your equipment against large debris particles. While not good for filtering out pet dander, smoke, or other allergens from interior air, they are reusable after washing, and can be a cost-effective option. Pleated and polyester filters have a higher MERV rating and are made similar to fiberglass filters. They are better than standard fiberglass filters, removing up to 85 percent of indoor irritants (compared to 10 percent for standard). HEPA filters are a good choice for homes with extreme allergy sufferers. HEPA stands for High Energy Particle Arresting. They are the most expensive filters, but they also remove over 99 percent of irritants in the air. They have a MERV rating between 17 and 20. It might seem like the higher the MERV rating, the better — but that’s not necessarily the case. For one thing, you need to balance out the expense with the need; you may not need such a high performing filter. And for another, there is such a thing as too much MERV! The higher the MERV rating, the smaller the allowance for air flow. An ultra-high efficiency filter can actually reduce efficiency and even cause damage to residential HVAC systems by slowing airflow across the heat exchanger which can cause overheating. Before you consider installing a HEPA filter, it’s worth doing some research to determine the optimum MERV rated filter that allows for maximum airflow. It might be worthwhile to have a certified HVAC professional help you determine which filter is best for accommodating both your equipment and your indoor air quality needs. 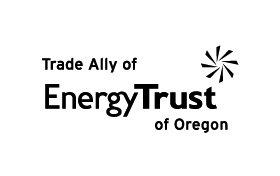 Heat Relief Heating & Cooling is working with the Energy Trust of Oregon to help you reduce energy costs and improve the comfort of your home.